From pioneering Yosemite routes to modern sends of yesterday’s aid lines, free climbing has long represented the ideal. 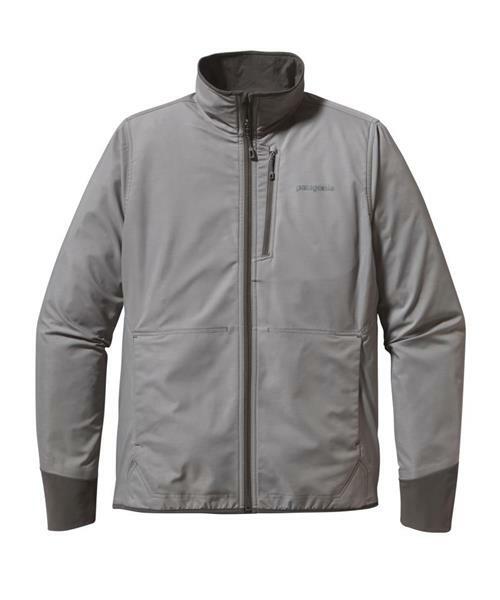 Patagonia's new All Free Jacket is a lightweight soft shell that moves, breathes and protects without restraint, enabling your most visionary moves. The soft-yet-durable polyester stretch-woven fabric has a DWR (durable water repellent) finish and a complement of minimalist features. Low profile, open-entry mesh-lined handwarmer pockets lie flat and disappear under a harness, a left chest security pocket closes with a zipper, and the spiral-seam construction on the stretchy Variable Conditions Cuff allows the sleeves to push up easily without constricting your forearms. Drawcord hem cinches the no-bunch hem from inside the handwarmer pockets.